In general, U.S. Medical Supplies offers a 10 day window for returning products after delivery. The customer is responsible for freight costs both ways and a restocking fee of 15% on all returns. To make a return, please call us at 1-800-790-4792. A return authorization form will be sent to you. Return the completed form and we will issue you a RA number and advise you on the best way to ship the product. Products that are subject to specific return policies are listed below. Please note that any item returned must be in a condition where it can be sold again. Therefore, any item that has been used but cannot be reused for hygienic reasons cannot be returned. Adjustable Bed Returns: Upon receipt of your adjustable bed you have 10 days to inspect it for damages or defects. If any damages or defects are found, it will be repaired or replaced at no charge. Should you decide to return it within 10 days for reasons other than defects or damages then you must call for a return authorization form. After you have signed the form, a RA number will be issued to you and you will be advised of shipping procedures. We will arrange to have the bed repackaged in your home and shipped back. Returned beds will be inspected and, if determined to be in like new condition, your purchase cost will be refunded minus the following charges: 15% restocking fee, a $250 outbound freight charge, a $250 in-home setup fee, a $250 in-home box-up fee, and a $250 return freight charge. For sanitary reasons, mattresses cannot be returned if they have had the plastic removed. 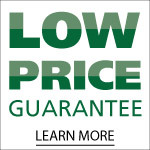 In this case, you will be refunded as above minus an additional charge for the replacement of the mattress. Adjustable Bed Cancellations: See below. Standard Adjustable Beds: If the standard adjustable bed has left the warehouse and you cancel you will be subject to a 15% restocking fee and a freight charge of $500. If the standard adjustable bed has not left the warehouse then you will be subject to a $500 cancellation fee. Hi-Low Adjustable Beds: If the hi-low adjustable bed has left the warehouse and you cancel you will be subject to a 15% restocking fee and a freight charge of $600. If the hi-low adjustable bed has not left the warehouse then you will be subject to a $600 cancellation fee. Bath Lifts, Walk-In Bathtubs, Shower Chairs, and other bathroom products: For hygienic reasons, products used in the bathroom cannot be returned. This includes, but is not limited to, bath lifts, walk-in bathtubs, and rehabilitation chairs for showers. Bed Linens: Any item classified as a bed linen cannot be returned. Cushions: Cushions are subject to the standard return policy, except for cushions intended for use in the bathroom. For hygienic reasons, cushions intended for use in the bathroom, which include toilet seat cushions and shower chair cushions, cannot be returned. Dumbwaiter Returns: Returns are not accepted on dumbwaiters. Dumbwaiter Cancellations: If your dumbwaiter has not been built then you may cancel subject to a 10% cancellation fee. Exercise and Fitness Returns: Returns on exercise and fitnes equipment will be decided on a case-by-case basis. Generally, returns are not accepted due to a change of mind or due to ordering the incorrect item. Exceptions will be made for genuine concerns about the safety or the performance of a product. Any returns are subject to the fees outlined in our general return policy. Equipment shipped damaged or defective will be repaired or replaced at no charge. Manual Wheelchairs: Upon receipt of your manual wheelchair you have 10 days to inspect it for damages or defects. If any damages or defects are found, it will be repaired or replaced at no charge. Stocked wheelchairs can be returned within 10 days for reasons other than defects or damages. Your purchase will be refunded minus freight costs and a 15% restocking fee. Custom or builder wheelchairs, which are chairs that built once an order is placed, are non-returnable in most cases. Certain custom wheelchairs may be returned minus freight costs and a 15% restocking fee as decided on a case-by-case basis. 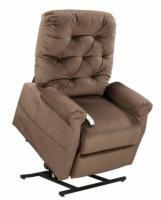 Massage Chair Returns: Returns are not accepted on massage chairs. Chairs damaged during shipment will be repaired or replaced at no charge. Mattresses: For sanitary reasons, mattresses cannot be returned if they have had the plastic removed. Mobility Scooter Cancellations: If an order is canceled before the scooter has left the warehouse, there is a $50 cancellation fee. Overlays: For hygienic reasons, overlays cannot be returned. Parts, Replacement Parts, and Warehouse Items: No returns are accepted. No exceptions. Patient Lifts - Aqua Creek Pool Lifts: Items must be returned within 30 days of product receipt. All returns are less freight costs each way and a 15% restocking fee. Power Wheelchair Returns: Upon receipt of your power wheelchair you have 10 days to inspect it for damages or defects. If any damages or defects are found, it will be repaired or replaced at no charge. Should you decide to return it within 10 days for reasons other than defects or damages then you must call for a return authorization release form. After you have signed the form a RA number will be issued to you and you will be advised of shipping procedures. If the original box is not available for returns then you can purchase another one for the cost of the box plus shipping. Returned power wheelchairs will be inspected and, if determined to be in like new condition, your purchase cost will be refunded minus the following charges: 15% restocking fee and a $100 outbound freight charge. The customer is responsible for return freight charges as well. Power Wheelchair Cancellations: If the power wheelchair has left the warehouse and you cancel you will be subject to a 15% restocking fee and a freight charge of $100 or actual freight costs if the item was express shipped. If the power wheelchair has not left the warehouse then you will be subject to a $50 cancellation fee. Scooter and Wheelchair Lifts: Scooter and wheelchair lifts are subject to U.S. Medical Supplies' standard return policy. Slings: For hygienic reasons, patient lift slings cannot be returned. Trailer Returns: No returns are accepted on trailers. Trailer Cancellations: You may cancel an order for a trailer before it has left the warehouse subject to a cancellation fee of $250. Wheelchair Stair Climber Returns: All returns are less freight costs each way and a 15% restocking fee. Vertical Platform Lift Returns: Returns are not accepted on vertical platform lifts. Vertical Platform Lift Cancellations: If your vertical platform lift has not been built then you may cancel subject to a 25% cancellation fee. Your use of this site shall be governed in all respects by the laws of the state of North Carolina, U.S.A., without regard to choice of law provisions, and not by the 1980 U.N. Convention on contracts for the international sale of goods. You agree that jurisdiction over and venue in any legal proceeding directly or indirectly arising out of or relating to this site (including but not limited to the purchase of products) shall be in the state or federal courts located in North Carolina. Any cause of action or claim you may have with respect to the site (including but not limited to the purchase of products) must be commenced within one (1) year after the claim or cause of action arises. Failure to insist upon or enforce strict performance of any provision of these terms and conditions shall not be construed as a waiver of any provision or right. Neither the course of conduct between the parties nor trade practice shall act to modify any of these terms and conditions. U.S. Medical Supplies may assign its rights and duties under this Agreement to any party at any time without notice to you.